The shape of modern Europe owes much to the monastic tradition, especially to the Benedictine. However this tradition is older than St. Benedict. Monasticism had its roots in the southern desert of Egypt where ascetics/monks living firstly at Tabennisi by the Nile in the early 4th century, and then at Tsmine and Phbew followed the Rule of St. Pachomius based on the cenobitical ideal. Pachomius' sister, Marie, founded a monastery for women close to Tabennisi who also followed the rule of her brother. These monasteries formed a small village with its various work houses, each under the supervision of an abbot. For these monks (from the Greek word monarchos meaning alone) the Great Rule was Holy Scripture. The first task of a novice was to learn passages of scripture off by heart so that he could meditate on them throughout the day: in the refectory, his work place, or cell. Three times a week the Superiors expounded the Scriptures and heard recitations. Prayer life centred on the coming together, referred to as synaxes, in the mornings and evenings. Prayer time consisted of reciting the psalms and other passages of scripture together with silent prayer. During this time the monks would not be idle but engaged in light work such as plaiting cord or rush mats. The basis of community life was service to others, common ownership, obedience to one's superior and mutual forgiveness. The attaining of perfection was seen in the service to others, that is, personal perfection is achieved living in the community. Later that century St. Basil, who probably was unaware of Pachomius' Rule also devised a Rule for cenobitic living for monks and nuns. One of the great Eastern Fathers, St. Basil had lived for a time as an hermit, but soon turned his back on the eremitical life as he believed that the solitary life was against the law of love. How can the hermit truly love God when he is shut off from his neighbour whom he also should love, remarked Basil. How easy it is to practise Christian virtue when one lives alone. Basil founded a double monastery on the banks of the Iris in Cappadocia on one side was for women, with his sister Macrina as head, and on the other for men, with his brother Peter as abbot, after a short time under Basil. The rule that St. Basil drew up for the members of this first monastery, founded about c. 356, was known as Regulae moralei, a collection of 80 rules, each supported by a quotation from the New Testament. What we know as The Rule of Basil is the Asceticon divided into two parts: the Greater (55 detailed rules) and Lesser Rules (313 short rules). This was in the form of questions and answers on the monastic life, with all having references to Holy Scripture. Like Pachomius he saw the Holy Scripture as being the Great Teacher or Rule. Basil was realistic in his approach to cenobitic living as he realised that the extreme austerities of eremitical living made the body unfit for work, and were a misconception of the Scriptural precept of penance and mortification. So prudence and wisdom were/are the basis of St. Basil's Rule along with poverty, obedience, renunciation, and self-abnegation. Without the observance of these the monk/nun could not grow towards perfection. Each superior had the responsibility of supervising the details of daily life. Another feature of St. Basil's rule was its social work manifested in his Basileias which was a combination of an orphanage, a kitchen for the poor, and a school for the illiterate. Of course Hours of Liturgical Prayer were also set down. This Basilian Rule became the blue print for monasticism within the Eastern Roman Empire. Outside, two important monasteries were established in France: one was by the holy bishop of Tours, Martin c.375 and the other by John Cassian of Marseilles in c.415. Through the writings of John Cassian in De institutes coenobiorum et de octo principalium vitorum remedies and Collationes the purpose and practice of cenobitic life became better known in Europe. 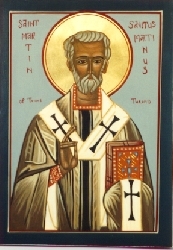 In Scotland St. Ninian who has spent time with St. Martin of Tours founded a monastery called Candida Casa in south-west Scotland at Whithorn in the early 5th century. It was dedicated to St. Martin of Tours, and presumably followed the Eastern rule. Across Europe Celtic monasticism was taking root too. When did it start? We are not sure whether St. Patrick, the apostle to the Irish, was a monk. What we do know is that the Celtic Church itself was monastic in structure that in turn was tribal or clan based. 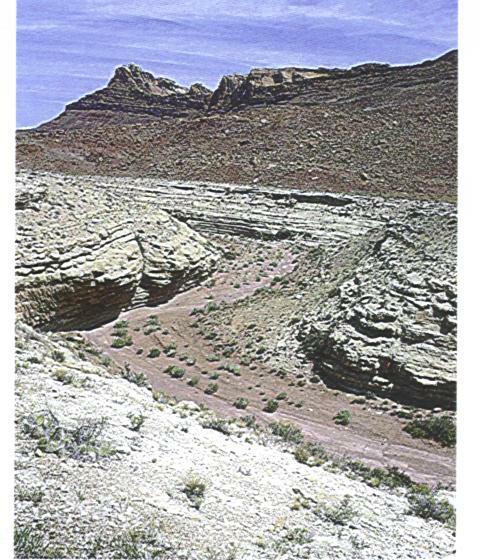 Each tribe had access to large area of land whose members were nomadic. The abbots were usually the head of the clan, and abbots were superior to bishops. The Celtic monks were great sailors, such as St. Brendan who had founded the monastery of Clonfert, and of course St. Columba who with his companions sailed east and founded the Iona monastery at the close of the 6th century. From here Celtic monastic life spread into Northumbria with St. Aidan founding a monastery on Lindifarne in the 6thC. Despite their travelling Celtic monasticism placed great emphasis on asceticism and learning. Under Celtic monasticism an abbess was often in charge of a double monastery, and as such was superior to the local bishop. One such abbess was St. Brigid of Ireland. Following her, for centuries Kildare was ruled by a double line of abbot-bishops and of abbesses- the Abbess of Kildare being regarded as superioress general of the convents in Ireland. At the time of the synod of Whitby, it was the local Abbess, Hilda, who resided over the gathered monks and clerics from both the Celtic and Roman traditions. Many Celtic monks became great missionaries and travelled from Ireland to heathenish parts of Europe. One was St. Columbanus who settled first at Luxeuil in France, then at St. Gall in Switzerland, and finally at Bobbio in Italy. These and other Celtic monasteries became great centre of learning and deposits of great libraries. 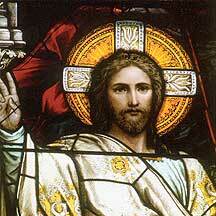 The rule of Columbian monasticism has at its heart obedience, noting that Christ is the model for obedience. It also emphasised a journey in love towards God and one's neighbours, achieved by continual prayers, purification of vices and penances. Purity of heart is vital, and if a monk has this then purity towards one body will follow. The practice of all these leads to humility, and taking upon oneself the yoke of the Lord who burden is sweet. The Rule that was to transform Europe was the Benedictine Rule, written by St. Benedict for his monks at Monte Cassino sometime in the 6th century. So it is fitting that he is to-day known as the patron of Europe. Incorporating ideas from the rules of Pachomius and Basil his Rules were essentially household rules. Michael Ramsay, archbishop of Canterbury of last century said, his Rule was "a way of Christian life, a way of theology, a way of God, which concerns all Christians, wherever they are placed, and whatever their particular calling." Any Christian can easily live by his rule. What were the characteristics of the Benedictine Rule? * "Nothing harsh, nothing burdensome" was to be imposed on the brothers as outlined in the Prologue. All things were to be done in moderation, even eating, drinking and sleeping. Benedict knew if brothers were to pray and work well they needed rest and refreshment. All were to be engaged in some kind of work each day, about 5 hours, from the youngest to the oldest, the uneducated to the scholarly. All were to take a turn in the kitchen. * The importance of belonging to a community and giving loyalty to that community. This was achieved by taking vows to a particular community, and fidelity to monastic life and obedience. * Obedience to the Abbot Benedict made clear what were the qualities of leadership wisdom, prudence, discretion, and sensitivity to individual needs. Hence an abbot is not so much head of an institution but a Father to his children. However he was to be seen as the representative of Christ. Brothers were to give "cheerful and absolute obedience to the superior in all things lawful." The abbot was elected by the monks. * Obedience to one another was to be encouraged and build up a community spirit. * Humility There are twelve degrees which lead to heaven fear of God, repression of self-will, submission of will to superiors, obedience in difficult matters, confession of faults, acknowledgement of one's own worthlessness, preference of others to self, avoidance of singularity, speaking only in due season, stifling of unnecessary laughter, repression of pride, exterior humility. * Hospitality "Let everyone that comes be received as Christ." This included everyone who came seeking help and hospitality. The Abbot always ate with his guests. * Stewardship everything had to be reverenced and treated "as if they were vessels on the altar". So a gardening tool was just as important as a chalice. * Prayer life the chapel was the storehouse. Monks lived one-third of their days within its wall, either saying the Offices or meditating or reading devotional books. The great Opus Dei was the reciting by the brothers of the Divine Offices based on the psalms. * Meals There were two meals a day. At each meal there were two dishes of cooked food, a pound of bread and half-pint of wine. Flesh-meat was prohibited except for the sick and poorly. There was no talking during the meals, and a monk read whilst his brothers dine. One of the books read at meal times was John Cassian's Collectiones. The reader ate with the servers afterwards. * Silence This was kept in moderation as necessary conversation was not prohibited. * Sleeping Each monk had his own bed and slept in his habit in order to rise without delay. A light burnt throughout the night in the dormitory. * Cheerfulness All things undertaken should be pursued in a cheerful manner. * Studying There was systematic reading and study as a daily exercise. But monks must never forget that the Great Rule was found in the Scriptures the teaching of Christ Himself. As Benedictine monasteries spread throughout all of Europe their achievements were great. Some of these were: the building of great cathedrals which incorporated the Benedictine Order and Rule; the cultivation of the soil and farming; scholarship; education through schools and universities; and producing manuscripts. The first of these was implemented by St. Francis for the Friars minors. This rule was adopted by his contemporary St. Clare who wanted her order to live by Francis' concept of poverty not owning anything at all. She had to fight to get her rule accepted, but she became the first woman to write a Rule for a community. She indicated often there was a vast difference between the traditional vow of poverty which allowed community property, and the kind of poverty she wanted, which was to own nothing, communally or personally. The sisters were never to shriek from sister poverty. "[O]ur most blessed Father Francis...never departed either in example or teaching from this holy poverty that he had chosen for himself and for his brothers." Clare was an extraordinary woman by any standard. She believed that women were as strong as men, and so they should not rely on men for help. Her belief that the community should be ruled by consensus was an innovation, as was her demand that the Offices should be said rather than the traditional chanting this she held was a sign of humility and was kind to those who could not sing. She also gave special attention to those whom the world would think unimportant and of no value. Above all her community was based on forgiveness, and not on acts of penance for sins committed against others and self. After all mutual love should overcome all. The Rule began - "The form of life of the Order of the Poor Sisters that Blessed Francis established is this: to observe the holy Gospel of our Lord Jesus Christ, by living in obedience, without anything of one's own, and in chastity." Those contemplating the monastic life were asked to give all possessions to the poor. "If she is suitable, let the words of the holy Gospel be addressed to her that she should go and sell all that she has and take care to distribute the proceeds to the poor. If she cannot do this, her good will shall suffice." For the election of the Abbess "The sisters are bound to observe the canonical form in the election of the Abbess. Let them quickly arrange to have the Minister General or the Minister Provincial of the Order of Friars Minor present. Let him dispose them, through the Word of God, to perfect harmony and to the common good in the election that is to be held." Of meeting together "The Abbess is bound to call her sisters together at least once a week in the Chapter, where both she and her sisters should humbly confess their common and public offences and negligences. Let her consult with all her sisters regarding whatever concerns the welfare and integrity of the monastery; for the Lord often reveals what is best to the least." All future Abbesses were bound to poverty "As I, together with my sisters, have been ever solicitous to safeguard the holy poverty which we have promised the Lord God and blesses Francis, so, too, the Abbesses who shall succeed me in office and all the sisters are bound to observe it inviolably to the end; that is, by not receiving or having possession or ownership either of themselves or through an intermediary, or even anything else that might reasonably be called property, except as much land as necessity requires for the integrity and proper seclusion of the monastery, and this land may not be cultivated except as a garden for the needs of the sisters." The sisters were to live like the birds of the air "Let the sisters not appropriate anything, neither a house nor a place nor anything at all; instead, as pilgrims and strangers in this world who serve the Lord in poverty and humility, let them send confidently for alms. Nor should they feel ashamed, since the Lord made Himself poor for us in this world." Indeed "this is the summit of highest poverty which has established you, my dearest sisters, heiresses and queens of the kingdom of heaven; it has made you poor in things but exalted you in virtue. Let this be your portion, which leads to the land of the living. Clinging totally to this, my most beloved sisters, for the name of our Lord Jesus Christ and His most holy mother, do not ever wish to have anything else under heaven." Above all sisters were to be a mirror to others "For the Lord Himself has placed us not only as a form for others in being an example and mirror, but even for our sisters whom the Lord has called to our way of life as well, that they in turn might be a mirror and example to those living in the world. Since the Lord has called us to such great things that those who are to be a mirror and example to others may be reflected in us, we are greatly bound to bless and praise God and be all the more strengthened to do good in the Lord." "Therefore, I, Clare, ... consider together with my sisters so lofty a profession and the command of such a father, and also the frailty of some others that we feared in ourselves after the passing of our holy Father Francis, who was our pillar and, after God, our one consolation and support. Time and again, we bound ourselves to our Lady, most holy Poverty, that after my death, the sisters, those present and those to come, would never turn away from her." The Fourth Lateran Council (1215) prohibited the formation of new Rules for religious Orders. 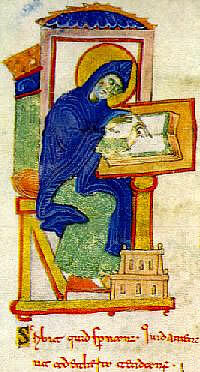 But Clare insisted that Francis had given her a Form of Life in 1212. This was the basis for her Rule, modelled upon that of the Friars Minor, approved by the highest authority of the Church on 29 November 1223. Thus her Rule would not be a new Rule, but the female expression of the same Gospel ideals, which Francis and his brothers professed. She got her way on 9 August 1253, just two days before she died. Clare became the first woman to have written a Rule for nuns in the history of the Church. The core of all Rules for the religious was what we know as The Offices or The Liturgical Hours: Around them all the other activities revolved. These times sometimes changed depending on the time of the year but the below gives a guide for what has transpired in monasteries for well over fifteen hundred years. MATINS/LAUDS At midnight or a little later. PRIME 6. 00 AM followed by Meditation and sometimes Mass (this was a later addition it was not part of St. Benedict's rule), and perhaps breakfast in some later traditions. TERCE 9. 00 AM followed by chapter and labour or study. SEXT Noon followed by dinner and recreation. NONE 3. 00 PM. followed by labour or study. VESPERS 5.30 PM followed by Supper and recreation. COMPLINE 7.00 PM followed by greater silence and bed. .Besides the above Orders there were also the Augustinians, Carthusians, Cistercians (reformed Benedictines), Dominicans and Carmelites before the Reformation. After the Reformation the Jesuits and the Capuchins were prominent orders.